Irish drinks group C&C Group, who bought Bibendum and Matthew Clark from failing distributor Conviviality last year, has strengthened its board and also appointed a new MD for Tennents and Matthew Clark in Scotland. The drinks manufacturer and distributor today announced it had appointed former Booker exec Mark Chilton as company secretary and group general counsel. Chilton held the same role at Booker Group plc until 2018, when the wholesaler was bought by Tesco as part of a £3.7 billion deal. Prior to this he was Head of Legal at The Big Food Group, the then owner of Booker Cash & Carry and retailer Iceland, and was involved in Booker being spun out the parent company and subsequently initial public listing. In his 14 years at Booker, he oversaw the mergers with Tesco as well as Makro and Musgrave Retail partners, according to his LinkedIn page. The BWS group has also appointed three new non-executive directors on the board, including former Mars and PerpsiCo exec Jill Caseberry, who is also a non-exec director of the St Austell Brewery Company, and Helen Pitcher OBE, who chairs the Advisory Board and Chair of the Remuneration Committee of global biscuit and confectionery company, Pladis Global, who join the group today. Jim Thompson, managing principal at Kingfisher Single Family Office and directors of Millicom International Cellular SA will join the company at the end of March. The three new non-execs will replace Geoffrey Hemphill, Richard Holroyd and Joris Brams who are stepping down from the board, although Brams will continue as a consultant for the Group’s Belgian beer brand, Heverlee, which he helped develop in conjunction with the Abbey of the Order of Premontre. 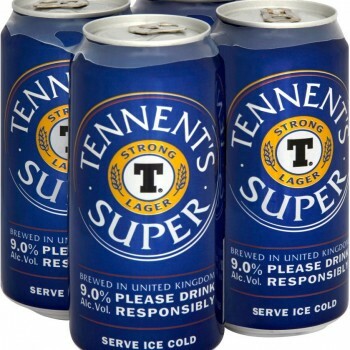 The company has also made a number of appointments at its Glasgow-based subsidiary Tennents Caledonian Breweries. It has promoted Kenny Gray, managing director of national accounts at Matthew Clark, to the new role of managing director Scotland, with responsibility for all on-trade, national and convenience business, as well as being the link to Matthew Clark in Scotland. Duncan Free will also join the brewery from drinks events company Badaboom as the commercial & marketing director, taking on brand activation, The Tennent’s Story visitor centre and the Tennents Training Academy. It also said finance director Richie Webster would oversee the overhaul of the company’s customer and back office finance business processes. In April last year the Dublin-based group, together with global brewer AB InBev, completed its acquisition of Matthew Clark, Bibendum and its other subsidiaries from Conviviality. In addition to the group’s wholesale distribution business, the group owns Tennent’s lager, Magners cider, Gaymers and Bulmers cider in the Republic of Ireland, amid a portfolio of beers, ciders, wines and soft drinks.